This transitional Milano is a perfect size for your powder room. It is constructed with solid poplar wood in an understated black finish. This design will flow with all your furnishings and bath dicor. It also has storage with a bottom drawer and soft-closure glides. The Modero 60 in. 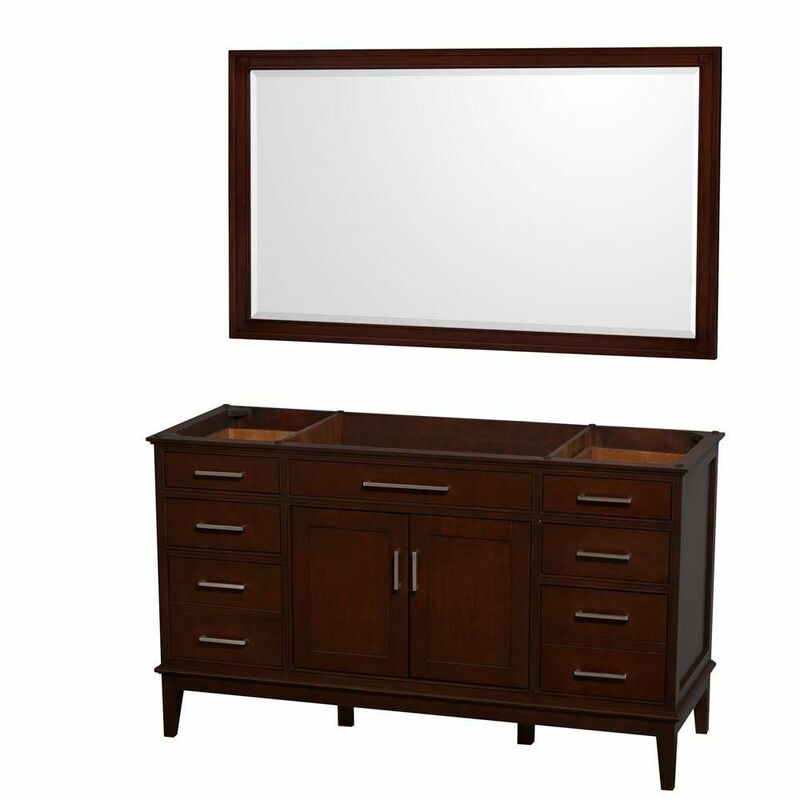 single vanity has a simple clean design with a rich expresso finish and brushed nickel hardware. It is constructed of solid poplar wood and veneer with soft-close doors and drawers that showcase its quality.